Available online. Call store for local availability. The killer was mad but brilliant. He left notes with every woman he killed. Rules of murder: Never have a motive. Never follow a discernible pattern. Never carry a weapon after it has been used...So many rules to his sick, violent games of death. But Lucas Davenport, the cop who’s out to get him, isn’t playing by the rules. 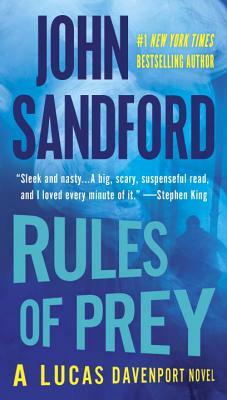 John Sandford is the pseudonym for the Pulitzer Prize-winning journalist John Camp. He is the author of the Prey novels; the Kidd novels; the Virgil Flowers novels; three YA novels co-authored with his wife, Michele Cook; and three other books. Independent Bookstore Day and Grand Reopening!